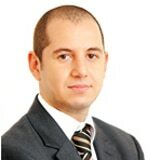 Dr Matthew Xerri is a Senior Associate within GANADO Advocates’ Shipping and Aviation team, with particular focus on ship and aviation finance, including the implementation of alternative financing methods. Matthew also regularly assists in the formation of companies and shipping organisations, the registration of vessels and yachts, assisting aircraft operators with Air Operators Certificates and Air Operators Licence applications and corporate law related matters. Dr. Matthew Xerri focuses on the formation of companies and shipping organisations as well as the registration of vessels and yachts. The Aircraft Registration Act, 2010: A success story?